Have you visited Paris? Share your travel tips in the comments below. As in most big/capital cities you will see various hop-on/hop-off services which are great for seeing the sights quickly and getting your bearings but nothing can beat a leisurely dinner on the Bateaux Parisiens Cruise meandering along the River Seine under the many beautiful bridges, past Notre Dame and catching glimpses of the magnificent Eiffel Tower along the way. 1) Top of the list has to be the iconic Eiffel Tower. Have you really been to Paris if you haven’t seen it? Be prepared for daytime crowds and if you want to eat at the restaurants, 58 Tour Eiffel & Le Jules Verne, be sure to book months in advance and start saving immediately. A sight to behold at any time of the day but it really comes alive after dark. The Trocadero takes on a party atmosphere as twinkling lights dance all over the tower on the hour every hour and a search light scans the rooftops & beyond. There is even a secret apartment at the very top… Gustave Eiffel’s very own man cave! 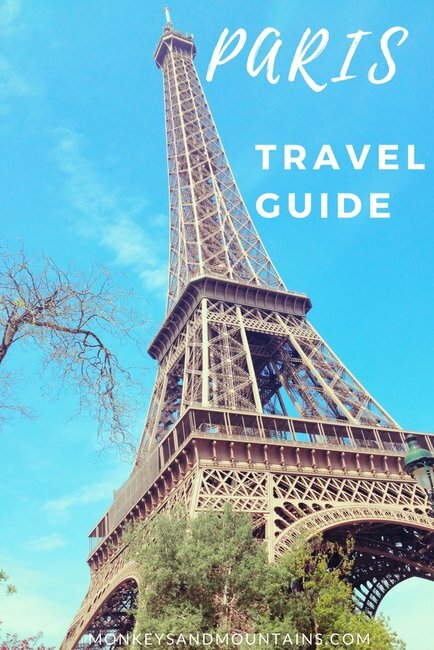 To make the most of your time in Paris, you’ll definitely want a Skip the Line Ticket for the Eiffel Tower. Otherwise, you could easily spend several hours of your precious vacation time in line. 2) The Sacre-Coeur. Located in Montmartre, this dazzling white Basilica is breathtaking against a clear blue sky. Construction began in 1875 and was completed in 1914. Today it is a popular meeting point/hang-out where you can enjoy street performers and musicians. Just around the corner is a superb artist’s square, Place du Tertre, which is great for people watching as you eat lunch at one of the many restaurants. It’s worth doing the Sacre Coeur and Dome With Expert Tour. It’s easy to walk by things that only locals or experts know which helps brings the Basilica and area to life. You won’t want to miss the Basicilica du Sacre-Coeur. 3) The Louvre. The world’s biggest & most visited museum. Home to The Mona Lisa, Winged Victory, Venus de Milo and around 380,000 other exhibits, its free to enter on the 1st Sunday of every month and has featured in many blockbuster movies including The Da Vinci Code. 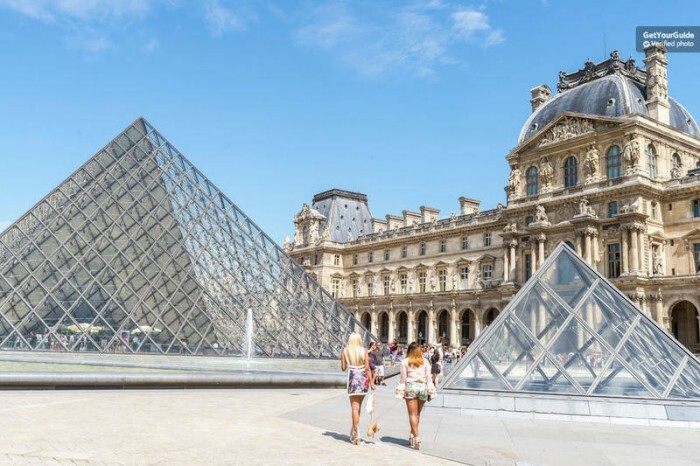 You can spend literally days exploring The Louvre. That’s why I recommend the Skip the Line Louvre Tour. It gives you a two-hour tour that makes the most of your time. 4) Galleries Lafayette. Not an art gallery but an enormous and very beautiful department store. Located on Boulevard Haussmann in the 9th Arrondissement, this architecturally stunning shop has the most impressive stained glass dome which is best viewed from the centre of the ground floor. Among the many theatrical arches, you will find all the top names in designers and brands making this an exceptional shopping experience for any fashionista. 5) The Musee Picasso is in The Hotel Sale in the Marais district. Interestingly, the collection not only consists of works by Pablo Picasso himself but also his own personal collection of works by other artists such as Matisse, Degas & Cezanne. It’s also worth purchasing a Skip the Line Ticket so that you can spend your time exploring and not standing in line. 6) Notre Dame Cathedral. This world famous church is one of the best examples of French Gothic architecture that you can see anywhere. It’s no wonder that it’s also one of the top tourist attractions in Parks. That’s why I recommend a Skip the Line Tour. In this 70-minute tour, you’ll discover insights that you’d miss on your own. 7) For something a little more ‘underground’ you might want to explore the Catacombs of Paris which contain the remains of more than an astonishing 6 million people in a network of tunnels beneath the city. Centuries ago, as the cemeteries of Paris reached capacity to the point of overflowing, older bodies were exhumed and moved to the former mines after many collapsed in the 1700s. Walls of skulls and bones are not for the faint hearted but are certainly an experience to remember. I recommend a skip the line ticket to avoid long waits. 8) Musee d Orsay. World renowned for its lavish collection of Impressionist art, the Musée d’Orsay also displays all Western artistic creation from 1848 to 1914. You could spend days exploring and hours waiting in line. That’s why I recommend the Skip the Line Ticket and Tour. Parisians tend not to be big breakfasters. The day typically starts with a coffee and a croissant, often followed by a cigarette. Not that the humble croissant should be underestimated. There is a very good reason this pastry is a dietary staple. A tasty variation on the theme is the pain au chocolat. Croque Monsieur or Croque Madame are very popular lunch items or as we may know them… A Ham & Cheese toastie but as usual, perfected by the French. There is also a lot to be said for a crusty baguette, cheese & a bottle of wine to share, perhaps down by the river. Simplicity at it’s best. However, it’s almost impossible to walk past a crepe stall. Sweet or savoury, it doesn’t matter, all delicious. No trip to Paris is complete without at least one visit to Angelina’s www.angelina-paris.fr. It’s a traditional style tea house & patisserie on the Rue de Rivoli and was frequented by Gabrielle ‘Coco’ Chanel. Phenomenally good hot chocolate & exquisite cakes/pastries which really are as delicious as they look. Paris literally has something for everyone. Laduree www.laduree.fr is the Mecca of Macaron. Le Cherche Midi in Saint Germain is a great little Italian restaurant. For lovers of Japanese food, there are many superb & reasonably priced restaurants near the Louvre /Pyramides in the 8th Arrondissement. For fine dining Le Cinq at Four Seasons Hotel George V & Restaurant le Meurice are exceptional. Booking is pretty much essential throughout Paris if visiting during Couture Week. Almost everyone loves wandering around the 1st & 8th Arrondissements. This is by far the most touristy area of Paris but it really is lovely to walk from the Louvre, through the Jardin des Tuileries, over the Place de la Concorde and up the Avenue des Champs-Elysees. From here you can wander the streets admiring the work of the top fashion designers in the world around the Rue Royale & Rue Saint Honore. From the top of the Champs Elysees at the Arc de Triumphe you can easily walk along to the Trocadero and the Tour Eiffel. 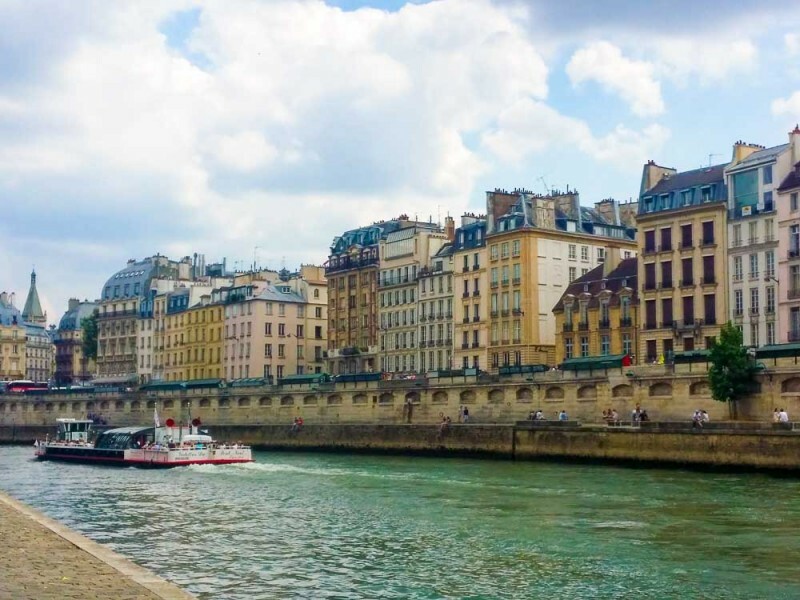 The Latin Quarter is fabulous on foot to wander around with a snack from one of the many eclectic eateries near to La Sorbonne University, mingling with all the students and soaking up the atmosphere. Montmartre is marvellous on foot. The Moulin Rouge, the Sacre Coeur, the artists & cute little souvenir shops can lose you an entire afternoon. Jardin des Tuileries is a tranquil haven in the heart of the city. Superb for a picnic by the fountain midway through a day of sightseeing to relax and watch the world go by. Parc Monceau in the 8th Arrondissement is popular with Parisians for cycling and jogging & is absolutely beautiful. Parc des Buttes Chaumonts is more of a hidden gem in the 19th Arrondissement. Enormous, hilly & fabulous views to the city and has an artificial lake, an island, a temple, a grotto & suspension bridges. A very cool place to chill out. The history of Paris gives an abundance of Cultural Hotspots. Arguably one of the most beautiful buildings is the Paris Opera House or Palais Garnier. With a seating capacity of 1900, this Neo-Baroque beauty was the setting for The Phantom of the Opera and boasts the grandest of grand staircases and the most opulent interior, most notably the Grand Foyer with its stunning chandeliers. A very fitting backdrop to the late George Michael’s orchestral extravaganza, The Symphonica Tour which proves this venue stands the test of time. The Centre Pompidou in the 4th Arrondissement houses the National Museum of Modern Art & the Public Information Library. Controversial in style, this colourful & industrial looking building has hosted exhibitions by many artists over the years including Salvador Dali, Jackson Pollock, Andy Warhol, Henri Matisse and David Hockney. The Musee d’Orsay, formerly a railway Station, on the left bank is home to exhibits by mainly French impressionist & post-impressionist artists such as Monet, Renoir & Cezanne. Opened in 1986 as a museum, the building still maintains the feel of a railway station including an impressive & ornate clock. The Palace of Versailles is synonymous with King Louis XIV, the sun king. Easily accessed by train from Paris, the chateaux & gardens are very much worth a visit. Steeped in French history and now Unesco World Heritage Site, The Palace of Versailles played a pivotal role in the French revolution with its extravagant decor including the famous Hall of Mirrors, various chambers, chapel, opera, the Grand Canal and lavish lifestyle of King Louis XVI & his wife Marie Antionette. You’ll definitely want Priority Access and an Audio Guide to make the most of your visit. Disneyland Paris is just 32km from Paris and is also easily accessed by train from Paris, and even London. Opened in 2002, this controversial theme park continues to entertain fans and families offering a more affordable option within Europe rather than travelling to the USA. The Monet Giverny Tour is an absolute must for those with an appreciation for impressionist art. Giverny is situated just an hour and a half from Paris and is where Claude Monet lived and painted for many years. The tour covers his home and garden which inspired much of his instantly recognizable work including the Japanese bridge & lily pond.